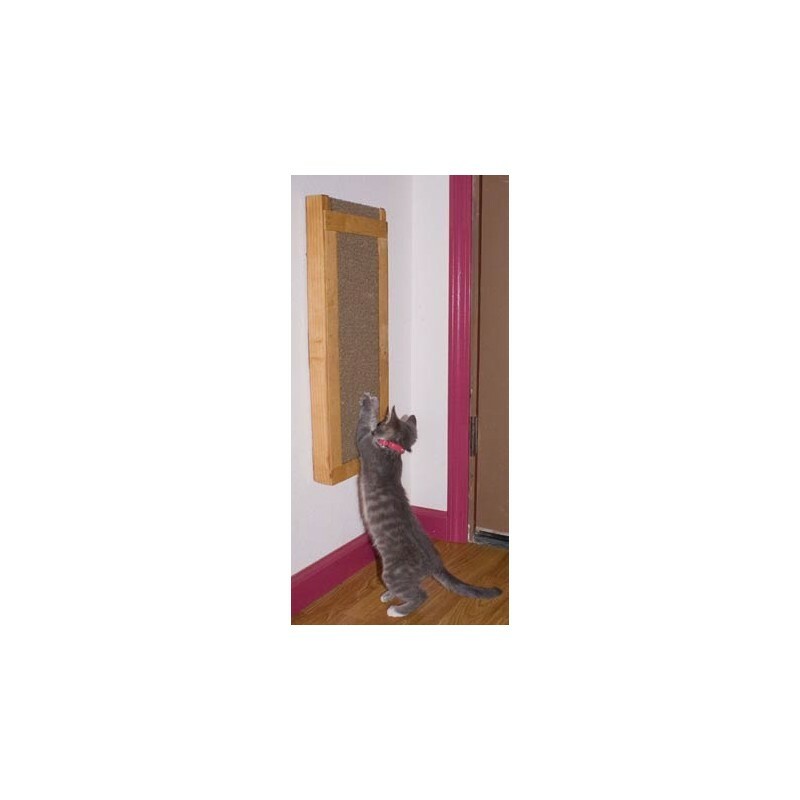 Perfect for cats who like to scratch on walls and door facings! The natural wood frame is fully assembled and mounts to the wall with the included screws and drywall anchors. 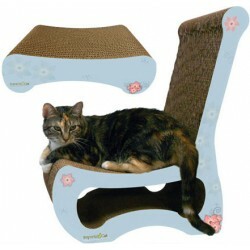 Comes complete with wood frame, one Deluxe Insert, and a packet of our famous 100% pure Cat Claws Naturally Nip Catnip. The wood is unfinished -- you can leave natural or paint/stain/stencil as desired. Measures about 9" x 23" high. 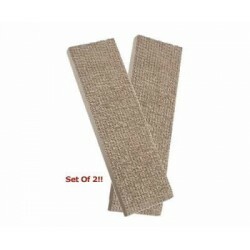 I'd been searching for something like this ever since my cat used up her non-refillable, wall-mounted scratcher, and I really didn't want to buy another since they were so expensive. This is perfect! I was unsure at first, since the cardboard block moves around in the frame pretty easily, but my cat doesn't care! 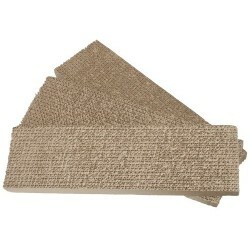 Whenever she gets "the crazies," she always makes a stop at the scratcher to really give it the business. The frame has held up well to the abuse, and I've just purchased some refill scratchers. I'll admit, it's not the most elegant piece of cat furniture I own, but it's functional, and it sure beats watching my cat try to do this to the side of my couch. I don't know what I would do without this! 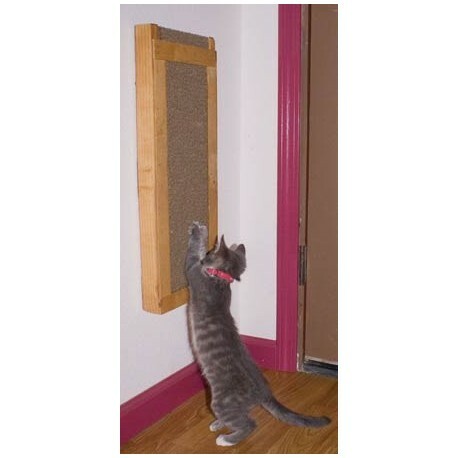 I have an upright-scratching kitty, and have invested both in a standing scratcher and this Wall-Mount Scratcher. He uses both equally, but often at night I hear him going at the Wall-Mounted one, as it is mounted outside our bedroom. I can't count how much money they have saved us in upholstery! 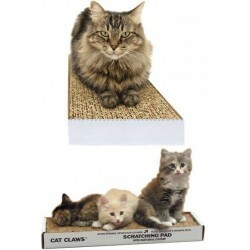 Going from a floor scratcher cat to an upright one was a bit of a shock, but thank goodness for Cat Claws! 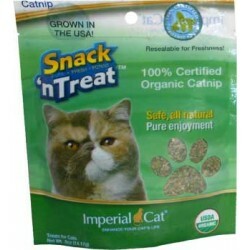 There is a remedy for whatever kind of cat you can imagine.